Asiad Steels is one of the renowned manufacturers and suppliers of Inconel 600 Stud Bolt, which is a nickel-chromium-iron alloy that is a standard material for applications which require resistance to corrosion and heat. 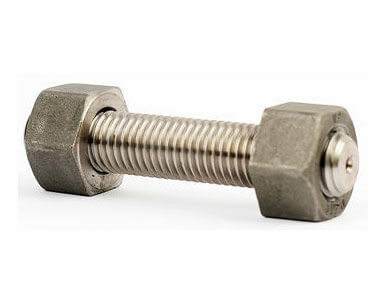 Inconel 600 Threaded Rods, which is nickel-chromium-iron alloy, is a standard engineering material for applications that require resistance to corrosion and heat. The chromium content of Alloy 600 Threaded Rods makes it superior to commercially pure nickel under oxidizing conditions. Inconel 600 Threaded Bars have good resistance to aqueous corrosion, has high mechanical strength, and is readily formed and machined. Because of its high thermal stability, Inconel 600 Tie Bars can be used in service temperatures ranging from cryogenic to 2200 Degree F (982 Degree C). These Inconel 600 Tie Rods are widely demanded in various small and large scale construction industries for road lane division. Superior quality of Inconel 600 Double Ended Studs has close tolerances and excellent finishes to meet the high-end industrial requirements. Alloy 600 Threaded Bars also has excellent mechanical properties and has a desirable combination of high strength and good workability. Heavy duty machining equipment and tooling should be used in Alloy 600 Tie Bars to minimize chatter or work-hardening of the alloy ahead of the cutting. Its high nickel content, a minimum of Ni 72%, combined with its chromium content, provides users of Alloy 600 Tie Rods a number of benefits. 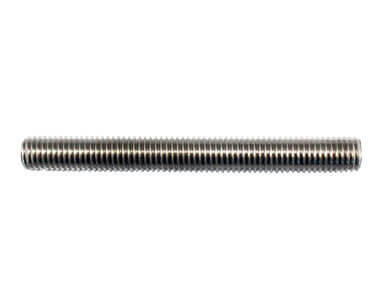 Buy Alloy 600 Stud Bolt at reasonable rates from us. We also supply these in different sizes and shapes. We are Exporter of Inconel Alloy 600 Studbolt in Worldwide Such as India, Germany, India, Turkey, Zimbabwe, Ecuador, Philippines, Bhutan, Croatia, Pakistan, Algeria, Portugal, Bulgaria, Argentina, New Zealand, Denmark, Estonia, Netherlands, Sri Lanka, Hungary, Bahrain, Macau, Poland, Iran, United States, Afghanistan, Thailand, Finland, Tibet, Puerto Rico, Bangladesh, Slovakia, United Arab Emirates, Czech Republic, Mongolia, Greece, France, Belarus, Nigeria, Mexico, Qatar, Morocco, Nigeria, Kenya, Bolivia, Italy, Norway, Romania, Angola, Jordan, Ukraine, Belgium, Iran, Venezuela, Gambia, South Korea, Australia, Lithuania, Japan, South Africa, Austria, Ireland, Egypt, Serbia, Vietnam, Kuwait, Ghana, Saudi Arabia, Azerbaijan, Nepal, Singapore, Chile, Russia, Canada, Oman, Sweden, Iraq, Indonesia, Hong Kong, Taiwan, Namibia, United Kingdom, Lebanon, Trinidad & Tobago,Tunisia, Chile, Malaysia, Kazakhstan, Poland, China, Peru, Costa Rica, Mexico, Brazil, Spain, Yemen, Libya, Colombia, Switzerland, Israel, Gabon. 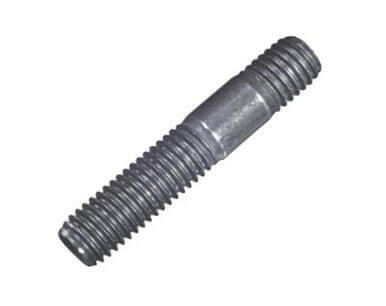 We are Suppliers of Inconel 600 Stud bolt in India Such as Mumbai, Chiyoda, Pune, Moscow, Toronto, Secunderabad, Karachi, Santiago, Colombo, Ranchi, Bhopal, Al Jubail, Nagpur, Surat, Petaling Jaya, Jakarta, Calgary, Courbevoie, Chennai, Mexico City, Ankara, Bengaluru, Thiruvananthapuram, Mumbai, Doha, Jaipur, Istanbul, Cairo, Faridabad, Muscat, Chandigarh, Kuala Lumpur, Indore, London, Busan, Madrid, Atyrau, La Victoria, Vung Tau, Riyadh, Jamshedpur, Ulsan, Caracas, Kolkata, Visakhapatnam, Algiers, Bogota, New Delhi, Hyderabad, Gurgaon, Al Khobar, Houston, Dubai, Navi Mumbai, Lagos, Granada, Rio de Janeiro, Baroda, Dallas, Hanoi, Ahmedabad, Thane, Ahvaz, Los Angeles, Aberdeen, Ernakulam, Singapore, Brisbane, Lahore, Tehran, Kanpur, Gimhae-si, Milan, Port-of-Spain, Ludhiana, Coimbatore, Bangkok, Melbourne, Rajkot, Ho Chi Minh City, New York, Howrah, Hong Kong, Sydney, Manama, Pimpri-Chinchwad, Montreal, Noida, Vadodara, Jeddah, Abu Dhabi, Nashik, Geoje-si, Kuwait City, Seoul, Edmonton, Dammam, Haryana, Perth, Sharjah.